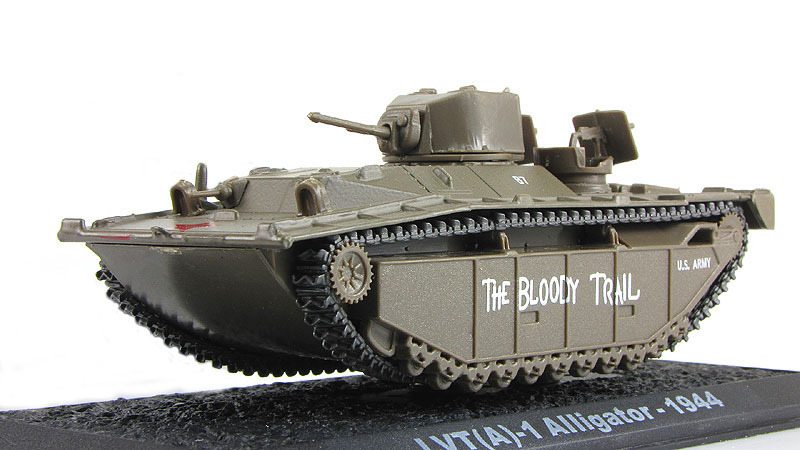 The Landing Vehicle Tracked (LVT) was a class of amphibious warfare vehicle, a small amphibious landing craft, introduced by the United States Navy, Marine Corps and Army during World War II. 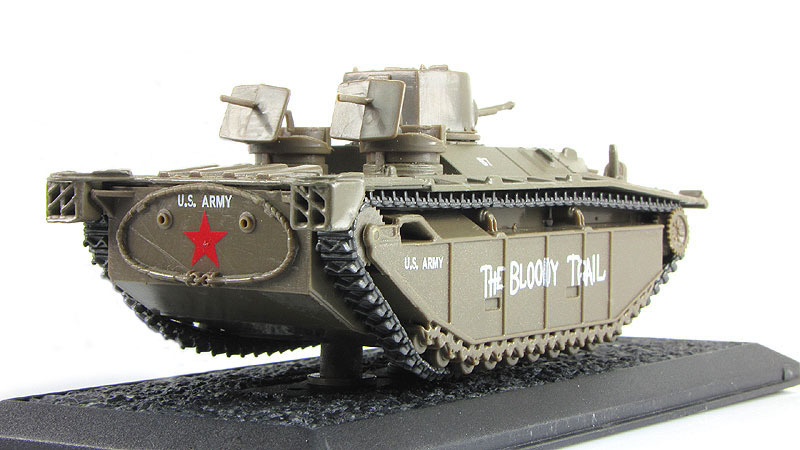 Originally intended solely as cargo carriers for ship to shore operations, they rapidly evolved into assault troop and fire support vehicles as well. The types were all widely known as amphtrack, amtrak, amtrac etc., a portmanteau of amphibious tractor. LVT(A)-1 (1942) Based on the LVT-2, A standing for armored, this fire support version had an armored (6 to 12 mm) hull. It was fitted with a turret nearly identical to that of the Light Tank M3, with a 37 mm Gun M6 in an M44 mount, and also carried two rear-mounted machine guns. 510 units produced.